Cover art by John Romita Jr.
John Romita Jr. in at #6 with a savage blood dripping cover. 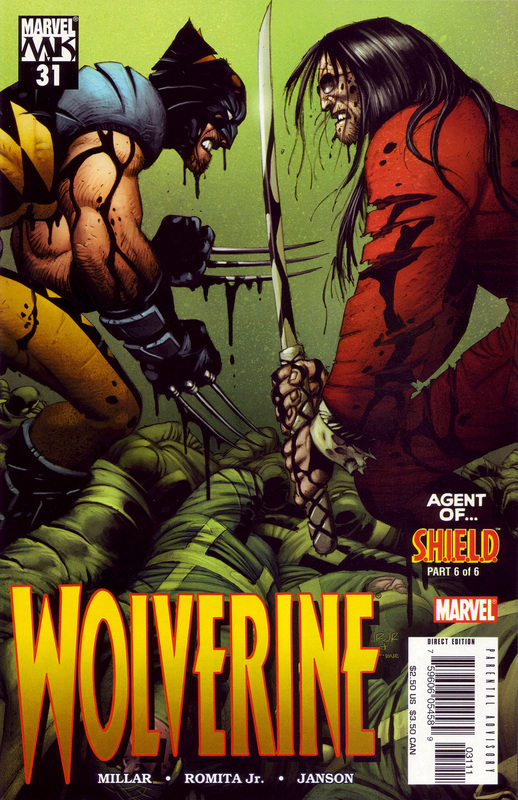 It’s Wolverine versus Gorgon clashing atop a dead horde of Hydra. Check back tomorrow night for number #05 in the count-down of my Top 100 favorite comic book covers. I’m not a fan of JRJR’s art from the past few years. It’s got an unappealing sharpness to it. This one isn’t as bad as some of his Avengers work, but it’s still not great. I think I know what you’re saying. Some of his more recent stuff looks kind of rushed or something. This one seems about perfect to me though. I think Richard Isanove’s digital painting over his pencils is actually pretty awesome.